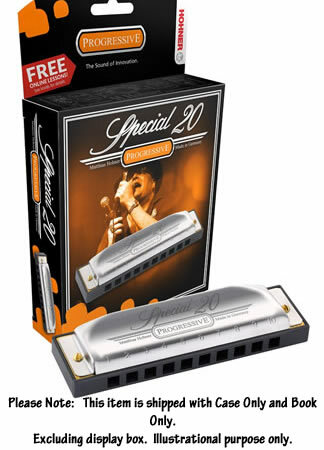 The Special 20 has reed plates which are recessed into the injection molded plastic comb, creating a projecting mouthpiece which offers unparalleled playing comfort. Rounded covers with closed sides give a warm, powerful tone which has made the Special 20 a favourite among rock and country players as well as blues musicians, with a rich chord sound thanks to the traditional HOHNER tuning. For over 150 years HOHNER has been producing musical instruments with the highest level ofÂ quality possible. Traditional craftsmanship and know-how based on decades of experience, combined with state-of-the-art production technology ensures that we will be able to maintain our high standard for the future. 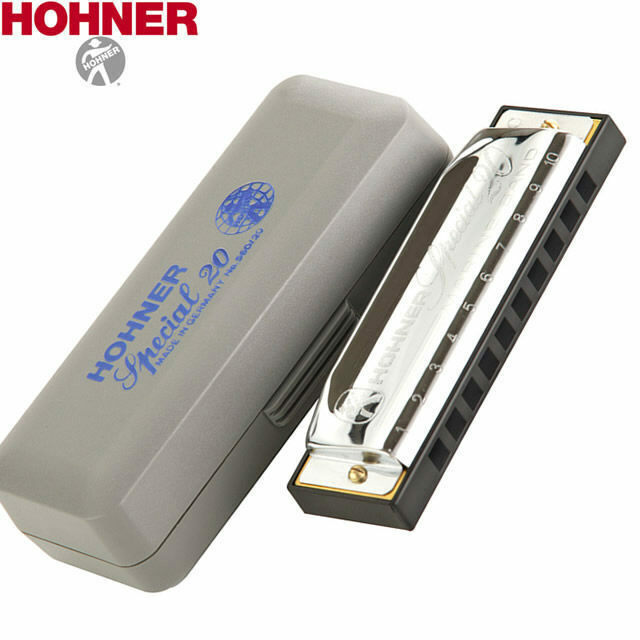 We stock a huge selection of Hohner HarmonicasÂ at the store. 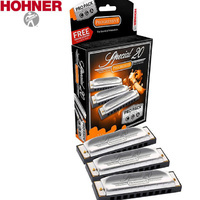 Don't hesitate to call the store on (03) 972 04581. We can happily assist with all keys, in a huge range of models in stock.